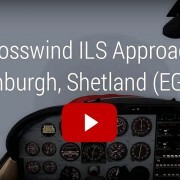 How to arrange Scenery Library entries in Flight Simulator X? What should be on top and what needs to be lower – especially when ORBX FTX Global + Vector and openLC are installed. The rules are simple – higher sceneries overwrite lower. To be precise – higher sceneries overwrite only when they provide changed data. So the Vector data on top will replace vector data positioned below. In case a higher scenery does not contain data of the same type (or for the same area) – lower sceneries will not be overwritten. I put a strong emphasis on this because people often ask me whether their mesh should be over FTX Global sceneries. It does no matter – FTX Global does not contain any mesh data – so their position in relation to each other is insignificant. But there are some guidelines that you should follow – especially when you are not fully aware what data a scenery contains. 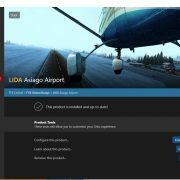 Put your airports on top of your scenery library. If there are libraries attached (like in FlyTampa or 29Palms sceneries) – their position in relation to the main scenery usually does not matter – to be safe you can place them above the airport. If you have other sceneries – especially cities around the airports – put them below. The same applies (but usually is not necessary – it’s just a precaution) to points of interest, landmarks, etc. If you need to place area scenery (like a photoscenery, landlacss or vector for the whole continent) – place it below all the sceneries I mentioned above. Here you should also place your mesh. In case you are not sure whether your area sceneries contain mesh – place your global mesh below other area sceneries. Keep your default sceneries at the bottom. Keep them in this order. located almost at the bottom – below 0000 Base. 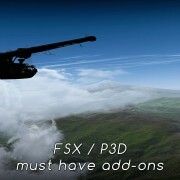 How to mix FTX Global with other add-ons? First – read the manual of both add-ons. In case of FTX Vector – do not use it with other vector sceneries or be very careful with them working together (test them!). Landclass sceneries should be placed next to openLC sceneries. The order depends on your choice (which scenery should overwrite the other in case of conflict). I do not recommend using two landclass sceneries for the same place in the same time. 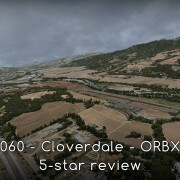 In my example – the order does not matter as my Scenery Tech – Africa is covering a different part of the world than ORBX openLC Europe and N. America. Mesh vs Landclass? It does not matter – I could switch the order. The only reason I keep it like this is my imagination of FSX scenery layers – I imagine elevation first, land cover later (then the airports on top). it works for me. 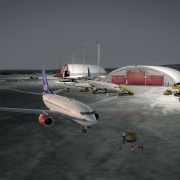 How to arrange Scenery Library entries in Flight Simulator X? What should be on top and what needs to be lower - especially when ORBX FTX Global + Vector and openLC are installed. Black Friday 2015 – recommendations Aircraft lights – when to use?